Professional set of 24 pcs make up brushes with case. Keep the brushes in a Dry Place and cleaning after applications can maintain the softness. 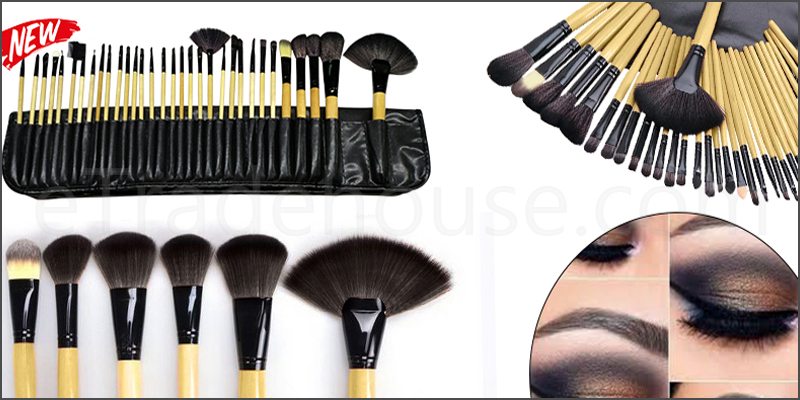 1x Professional 32 Pieces Makeup brushes set with Black Case.